I am writing my first blog post from the UK since we left for America two months ago. WOW it has been a great summer and I have so many adventures to still share with you all. 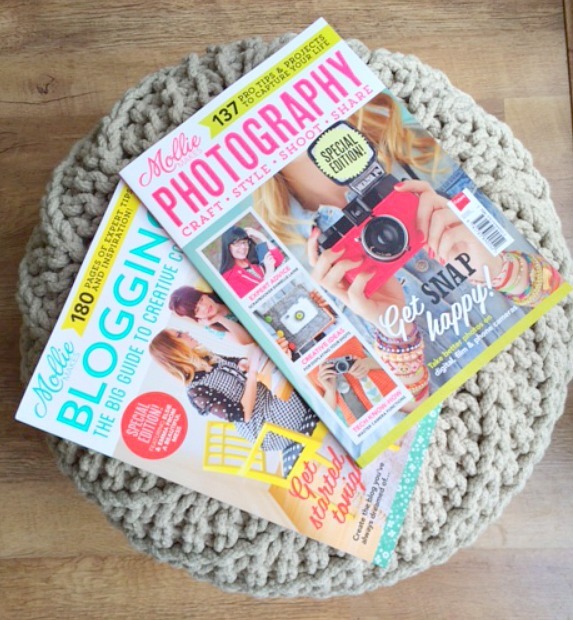 I hope that you all have been enjoying my Instagram feed and the few blog posts that I have shared along the way. It’s good to be back though and get back into a normal routine. No more living out of a suitcase! Hurray. With that in mind, it’s time for the #littleloves hosted by the lovely Butwhymummywhy. I was so excited and honored to have HOST for her last week and for all that linked up. I was so excited to come home to find two copies of Mollie Makes waiting for me to read and catch up on. I went and saw “Lucy” with my friend RayRay while I was in Seattle. It’s definitely a mind twister for sure! I hadn’t heard of it before but it left me thinking about how much we don’t know in this world. A must see for sure. I pretty much wore this for the past two months straight with so much hot weather it was a must. Sadly I wore this yesterday for the last time. Returning back to the UK today along with the rain and cold. I should have known. I am so sad to say that the only thing I made this week is a big mess with our suitcases. We took over my friend’s spare room in Seattle with a play pen, toddler bed and two extremely large suitcases that were bursting. We had clothes everywhere and she can even vouch that they spilled into her dinning room chair for drying! Bless her, she really did put up with a lot from our week stay there. We are so ever grateful to her and her beautiful family. Here are the kids waiting for our last of three flights to pull up to our gate! We are home! It was a long journey home but the kids did great. 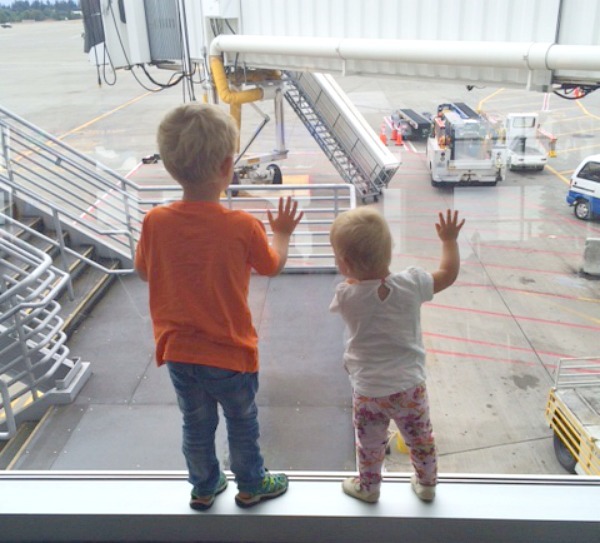 They love traveling as much as their parents do thankfully. The numerous airport stops gives them time to rejuvenate and watch all the planes go by. They are already back on schedule and enjoying their toys all over again. Me on the other hand will take a few days to get the eight hour time difference go away. It has truly been the best summer ever! We truly did have a magical summer there. Can’t wait until next summer. It will be awesome. So many adventures and memories made for sure. Welcome back to the UK, lovely to have you back! Love the bikini and yellow shoes/ necklace combo, I’m sure you didn’t miss the British weather while you were gone! It’s great that the kids enjoy travelling, I suppose they have to because it’s not like it’s a short journey! I’m terrified of flying, so I’ve never taken the kids on the plane back home to England yet, still trying to work up the courage to fly with them! Oh bless you, once you do it you are set for life. My sister was petrified and now flies all the time. You are safer in a plane than a car! True fact, yet everyone gets in their cars without thinking about it. My kids love it too. They are adventurous like their mom and dad and we love going to different cities and seeing what there is to do as a family. Thank you so much. Feels weird being back and it being cold and rainy. But I am so grateful for the two months I had in the hot sun with family. I want to watch Lucy, looks like a great film. Your welcome!!! Lol enjoy. Jokes. I was laughing as my hubby flies to America Tomo for ten days n it’s thunderstorms the whole time. N nice here. Bless him.